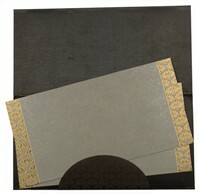 D-5316, Black Color, Shimmery Finish Paper, Designer Multifaith Invitations, Exclusive Invitations. 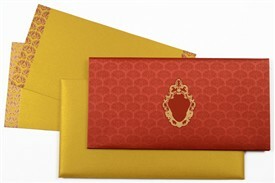 The card is made thick with 2 layers folded inside. Covered with satin and printed with diffused design all over, the front has center space for initials or logo of your choice. 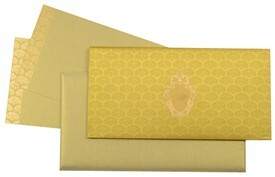 Envelope flap and inserts have border in the same design as front. 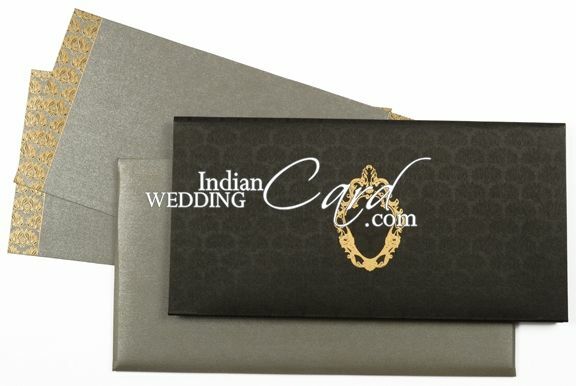 Black color silk satin for card and pocket. 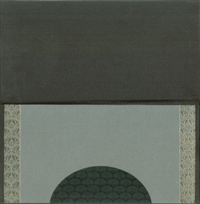 Dark Grey color shimmery paper (250gsm) for envelope and 2 inserts. 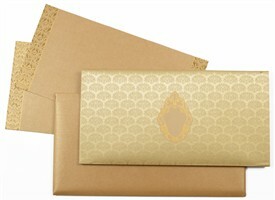 Gold lining for envelope.